This is not your father's penguin anymore. 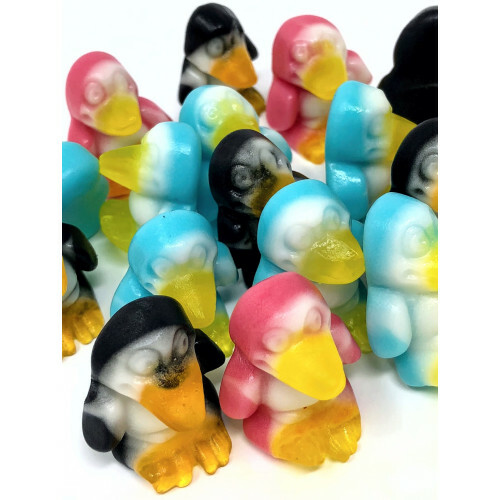 These Gummi Penguins are a new generation. Let the Fun begin! Glucose syrup, sugar, gelatine (pork), acids: citric acid, lactic acid, gelling agent: pectin, flavourings, color: curcumin, carmines, brilliant blue FCF, palm oil, glazing agent: beeswax white and yellow, carnauba wax.